MU OET 2019 Slot Booking has been started from 05 April 2019. Manipal Academy of Higher Education was previously known as Manipal University. (This is a recent change because of the order passed by Supreme Court.) And this order affected the names of 123 deemed to be universities to drop the word “University” from there name. The Manipal University will conduct MU OET 2019 is a National Level Entrance Examination for admission in various UG & PG courses. The application form for Manipal Institute of Technology (MIT) B.tech. Admission for 2019 is available. Through this exam, candidates get admission in the various affiliated institutions of the university. Admission in MBBS/BDS/MD/MS/MDS/DM/MCh courses will be done through NEET scores. The registration has been started and will be available until the Second week of April 2019. MIT is Ranked 4 among the Private Engineering Colleges in India Choose from 16 Engineering streams including Mechatronics, Computer Science, Aeronautical etc. MU OET 2019 has started now! MU OET 2019 Application Form is available now and can fill till 08 April 2019. Click here to fill the application form. Manipal Entrance exam 2019 date is yet to be announced. Find detailed information about JEE Main 2019 April Session Exam Here. Online Entrance Test Schedule For B.Tech. How to fill the MIT-Manipal B.Tech. Admission 2019? To get admission, Student has to fulfil the minimum eligibility criteria to appear in the Entrance Exam. Applicants may take an overview of eligibility criteria for different UG and PG courses from the University website. The Eligibility Criteria and Admission Procedure is given below. Minimum Marks in MU OET: It is required for the candidates must have minimum 50% marks in MU OET to be eligible for the counselling. Age Limit: There is no age limit to apply for the entrance exam. Qualification Criteria Candidates must be Pass in 10+2, A Level, IB, American 12th grade or equivalent Board. Subjects in Qualifying Exam The applicants must have subjects like Physics, Mathematics and English as compulsory subjects. And optional subjects like Chemistry/Biotechnology/Biology/any technical vocational subjects. Minimum Marks The applicant needs a minimum of 50 per cent marks in Boards. Where Physics, Mathematics and any one of the optional subjects taken together. Qualifying Exam Students must have BE/B. Tech or AMIE or any equivalent degree. Minimum Marks Minimum 50% marks in the qualifying exam. Qualifying Exam A student should pass 10+2, A Level, IB, American 12th grade or equivalent examination from a recognized board. But, to be eligible for the MBBS, B.Tech, and B.Sc Nursing programs, an applicant must be born on or before 31 December 2000. Program – Firstly, applicants have to choose a program. i.e., Under Graduation (UG). Foreign/ International/ NRI/ NRI sponsored category candidates will have to pay Rs. 2500/- Application fee. 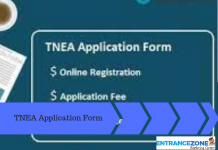 Application fee can be paid through Credit card/ Debit card/ Internet Banking. In case of payment through DD, it will be made in favour of Manipal Academy of Higher Education payable at Manipal, Udupi. The exam will be held through online mode. Duration of Exam The total time duration will be about 1:30 hours. No. of Questions There will be 60 questions in the paper. Types of Questions Multiple choice questions (MCQ). Marking Scheme Each question carries 4 marks. Negative Marking 1 mark will be reduced for every incorrect response. Duration of Exam The total time duration will be of about 2:00 hours. No. of Questions There will be 100 questions in the paper. An applicant can take an overview of the syllabus for each Undergraduate and Postgraduate course on their website. But for B.tech course, the syllabus will consist of Physics, Chemistry, Mathematics and General English include questions based on the 10+2 syllabus followed by major 10+2 Boards/Universities. Firstly, make a proper study schedule and give maximum time to the difficult section of the subject. Always follow syllabus released by the authority. Practice with multiple test series, practice papers, last year question papers and textbooks. Candidate must prepare according to the exam test pattern and marking scheme. Stay fit, healthy and tension-free. For MU OET slot booking 2019, Student must have the online test booking password. Candidates must select the exam centre and exam date & time. A confirmation mail will be sent to the email address after the student has booked the schedule through the Online Test Booking System. After that candidate can print their MU OET admit card 2019. It is suggested to all candidates that to bring Hall ticket of MUOET with them. Without it, entry in the examination hall is permitted. The result of MU OET 2019 will be released on different dates for all courses. Candidates may check their result through online mode from the fourth week of May 2019. On the basis of the result, the authority will make the merit list for each course. On the basis of this merit list, the student will be called for the counselling. To take part in the counselling, the applicant must select their counselling venue at the time of slot booking of examination. The admission procedure of Manipal University will be conducted through offline mode at the prescribed venues. Candidates will be allotted the seats on the basis of ranks secured by the students in the MU OET 2019 exam. Candidates should bring the required original documents for the verification. The application form for B.tech. Admission is open now. 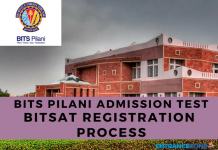 General Category: The Admission for general category candidates will be based on All India Manipal Online Entrance Test (MU-OET) 2019. And for Foreign/NRI Category students the basis of admissions is their qualifying examination marks. Note: The applicants can apply both under General and Foreign/NRI categories. Whereas, Change of category from Foreign/NRI to General candidates is not allowed under any circumstances. Manipal Academy of Higher Education (MAHE) grabbed 4th rank among the Top Private Engineering Colleges in India. MAHE is having more than 50 Research and Student Exchange Collaborations at National and International level. Also, Manipal Group is boosting Innovation among the students by supporting them by providing Manipal Innovation Technology Business Incubator. An innovation centre has established to nurture the students studying at Manipal Institute of Technology and other allied colleges of Manipal group. 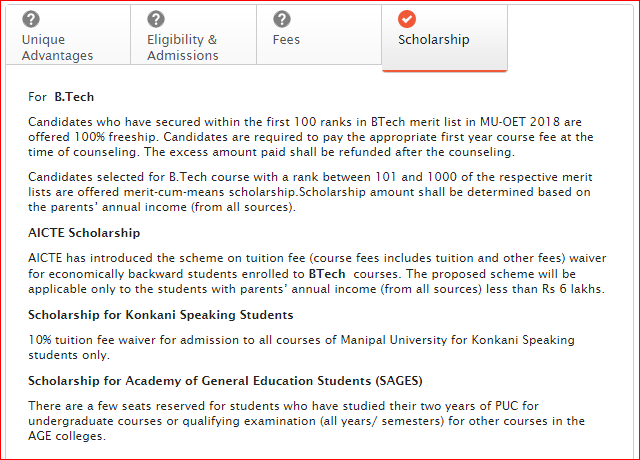 The scholarship for B.Tech programs under AICTE Scholarship, Scholarship for Konkani Speaking Students and scholarship for the Academy of general education studies (SAGES). Keep visiting this page for new updated information from the MAHE. mu oet 2019 dates, Manipal university entrance exam 2019 date, Manipal exam date 2019, Manipal university application form 2019 last date, mu oet 2018 application form, manipal university application form 2018, manipal application form 2019.
what is the difference between btech lateral and btech (phramD/bpharm) ? Will MU OET 2019 have negative marking? When can i apply to Manipal university? Is MU OET 2019 easy?